All parents are automatically members of the Friends of High Firs School Association but the Association is open to anyone with an interest in the school. The Association is run by a committee, elected at the Annual General Meeting. The committee arrange many social and fund raising events for the children and their interest and support is a valued part of the school organisation – all their hard work on behalf of the children is very much appreciated. The money raised from their fundraising activities has gone towards providing many extra items for the children, as well as funding major projects around the school. All help and support is much appreciated! Why not come to a meeting or volunteer at an event? Can you help us with Match Funding? Click here. Thurs 10 January – Pyjama Day Wear your pyjamas to school if you bring in a donation of toiletries / gifts / toys. Please wear school shoes as usual. Thurs 7 Feb – FHF Meeting All welcome – 7.15pm for 7.30pm start, in the Staff Room. If you would like to join the class representatives in your class you would be made very welcome. There is no limit to the number of class representatives and the more the merrier. Please do talk to your class representative or any member of the Committee if you would like to get involved with the Friends. The role of the Class Representative includes acting as a point of liaison with other parents in the class and to coordinate volunteers for events. Class Representatives (along with all members) are invited to attend Friends’ meetings but everyone can get involved, whether they are a Representative or not! The Friends of High Firs receives a donation every time people register to support us and shop online through the “easyfundraising” site. Click on the logo above to access the site. 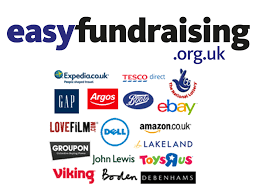 There are over 2,700 online retailers available, including Amazon, John Lewis, eBay and Tesco and all will give a small percentage of what’s been spent back to the FHF Friends of High Firs School every time you shop with them. Raise money for the Friends of High Firs AND save money on your theatre tickets! Tickets4Schools is an established and successful fund-raising scheme designed to raise much needed monies for schools and their PTAs. Theatre and event tickets are sold directly to parents and staff of the school at a discounted price but inclusive of a mandatory donation (usually £5.00 per ticket) to the school. Click on the logo above to go to the site.